Scotland County is named for the country of Scotland in the British Isles. 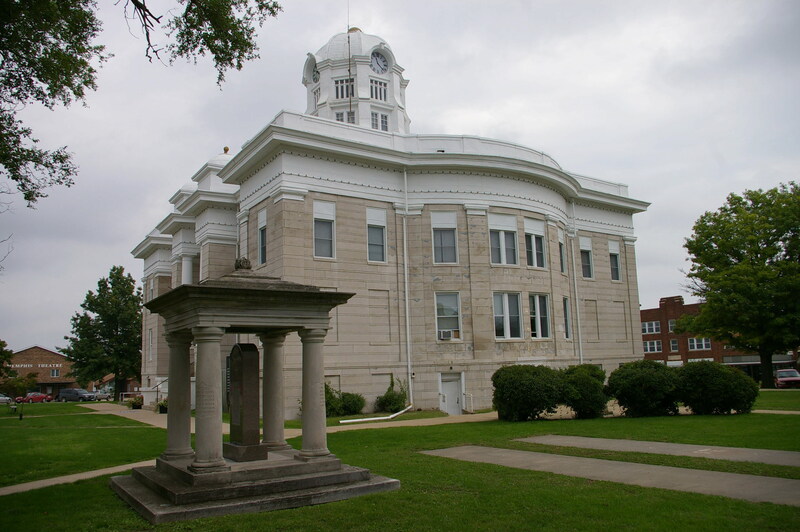 Description: The building faces Built in 1907, the building is a two story gray colored stone veneered and concrete structure. 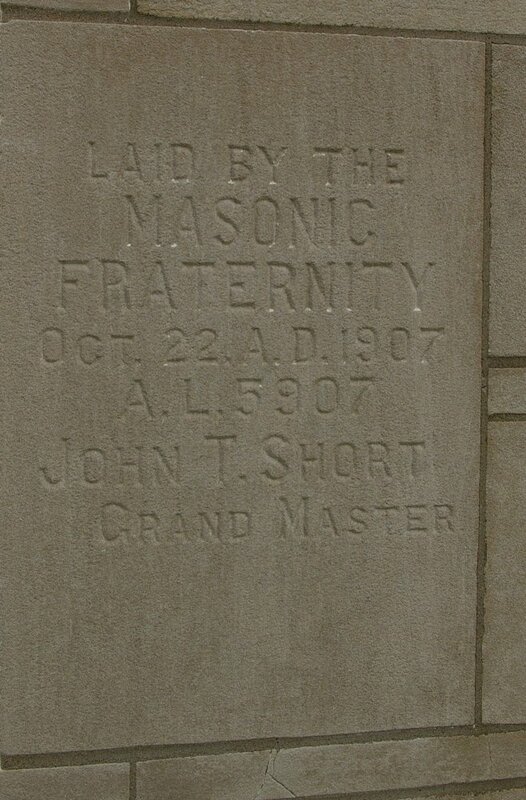 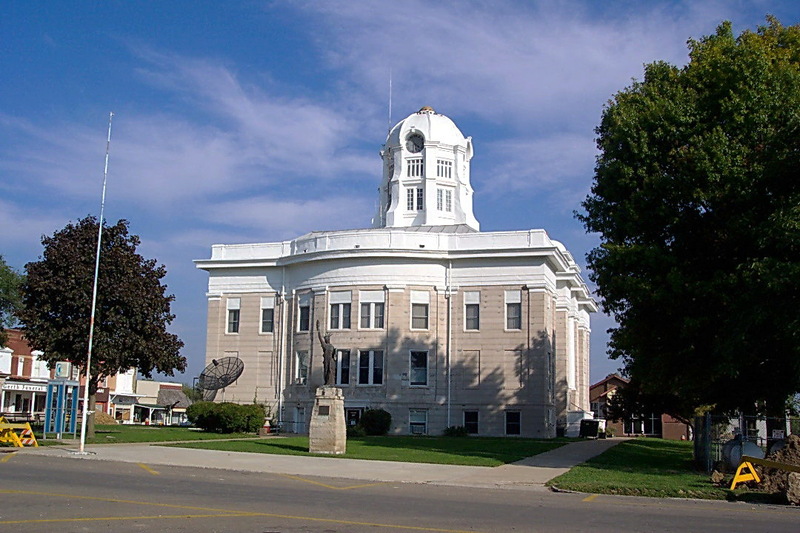 The building faces south and was completed in 1908. The ends of the building extend in a semi-circle. The south front has two large white colored columns with a recessed entrance between the columns. 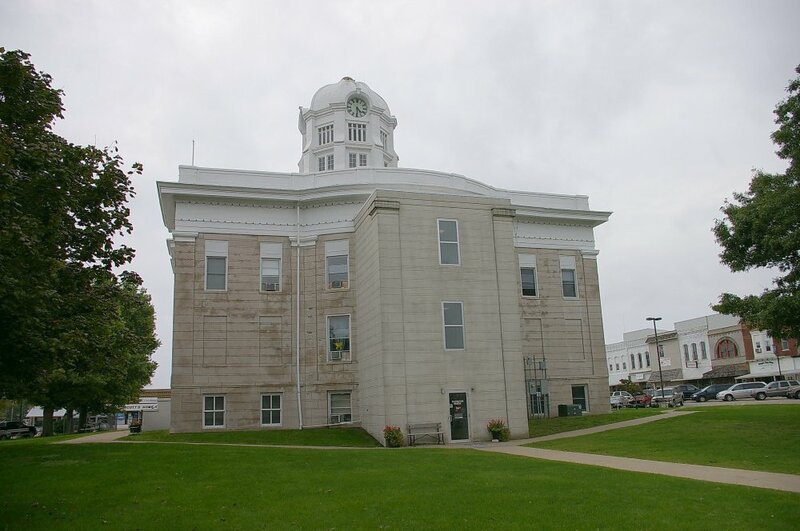 A wide white colored band runs above the second story windows to a projecting cornice with a further band along the roof line. 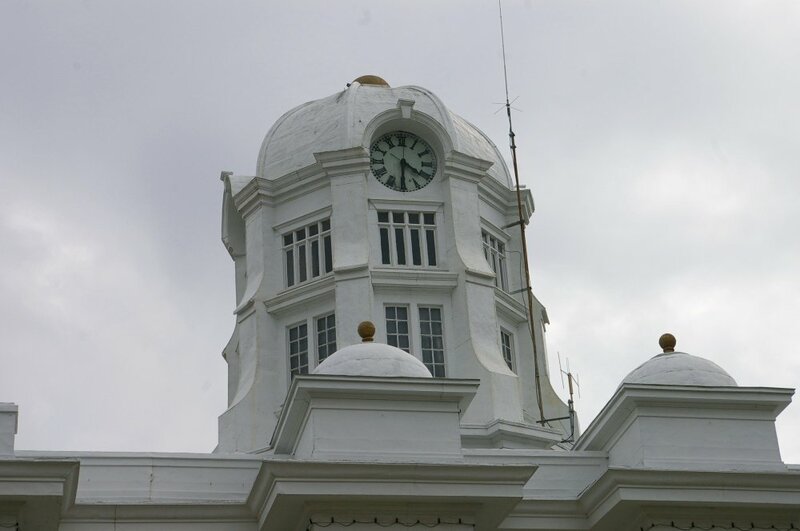 On the center of the building is a large white colored dome with clock, windows and copper roof which rises 80 feet above the ground. 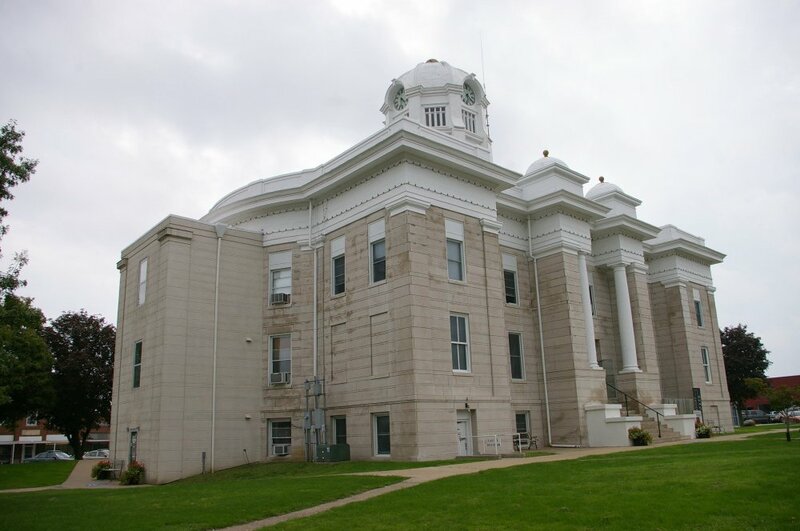 Note: The first courthouse was designed by Charles Mety and built by William Staples of Monticello in 1844 and 1845. 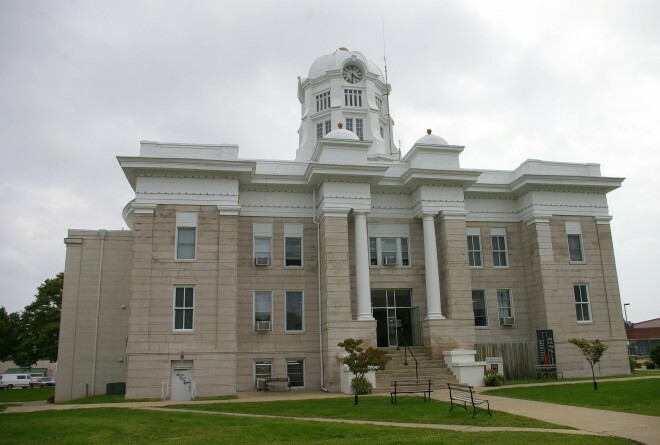 The second courthouse was designed and built by Solomon Jenkins in 1856. 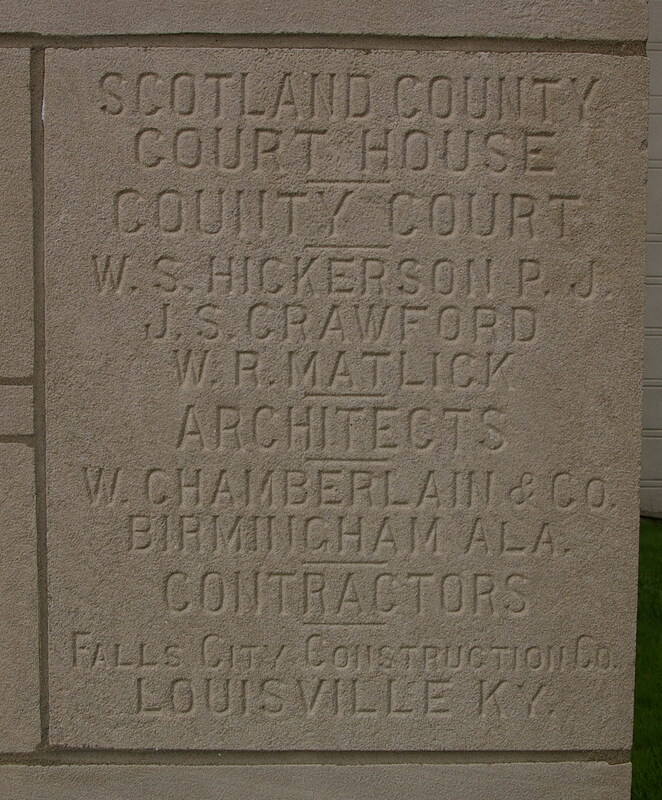 Construction of the present courthouse was $50,000.